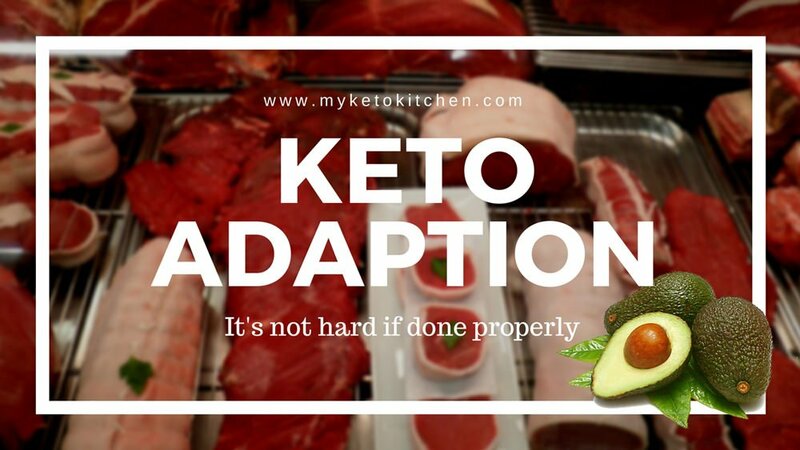 Keto adaption is the initial stage of a Ketogenic Diet; its primary purpose is to turn your bodies metabolism around from using glucose as fuel to using fats through fat oxidization and the production of ketone bodies. The end goal; being keto adapted. Ketone bodies are produced through a process called ketogenesis which happens when your body is depleted of glycogen. Ketogenesis and glucose depletion is achieved by limiting carbohydrate intake, moderating your protein consumption and consuming high amounts of healthy fats. 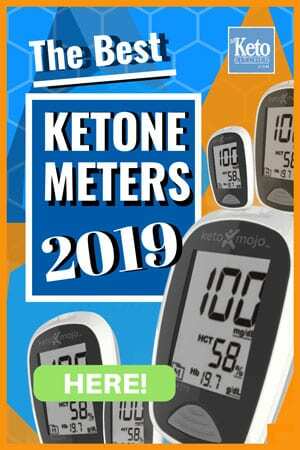 You can work out your ketogenic diet macronutrients with this Keto Calculator. Good nutritional planning is essential in the keto adaption process; you should plan each day’s meals and snacks and make sure that they fit in with your macros. Ensure adequate consumption of electrolytes, vitamins and green cruciferous vegetables to stave off keto flu and other symptoms for which you can read more about here. A rapid loss of weight for which most will be the flushing of water from the water retention that excess carbohydrates are responsible for. Initially, you’ll be urinating often, again this is the result of flushing of your system and is a really good thing. Drink plenty of water and ensure you get essential electrolytes such as sodium (salt), chloride, potassium, magnesium, calcium, phosphate, and bicarbonate. These are easily supplemented with extra salt, green vegetables, bone broths, and meats. I keep sugar-free electrolyte drinks like this one on hand and have them in place of diet sodas. Once you’re past the keto adaption process and finally keto adapted the hard work has been done. Now it’s a matter of maintaining your diet and not falling back into bad habits. Some people suggest cheat days where you eat a lot of carbs, “carb up” etc., to restore glycogen or whatever. That may be helpful for elite athletes or bodybuilders in building mass. But for the regular person maintaining a healthy lifestyle, I think it is as ridiculous as a recovering alcoholic having a cheat drink. Carbs are addictive why make life difficult? You may experience some fogginess and cognitive laziness while getting keto adapted. This will pass, you are withdrawing from a poor diet and sugar is an extremely addictive substance. Electrolyte and vitamin intake will take care of this. Exercise! Not only is it great for you physically, but research shows people who exercise regularly have a greater sense of well-being and are more productive and happier. When eating protein rich meals ensure you have an adequate amount of fat. protein can elicit an insulin response and fat has been shown to blunt that. We need protein but not as much protein as some would have you believe. Don’t starve but don’t eat just because you think you should have lunch, or breakfast is the best meal of the day, dietitians invented the 6 meals idea to combat their moaning clients on their impossible calorie restricted diets. Scientists debunk that, you can read about that here in The Art and Science of Low Carb Living by two of the foremost scientists in the game. Remember while in the process of keto adaption your body is experiencing some dramatic changes and some things can be expected when withdrawing from sugars so cut yourself some slack it’s not that bad if you do it properly, you’ll be keto adapted soon enough.